Only $200 when added to your DJ package! Only $350 when added to your DJ package! Sideshows and video presentations are a great way to share your memories, celebrate your bonds, and honor the friends and family that share your life's moments with you! 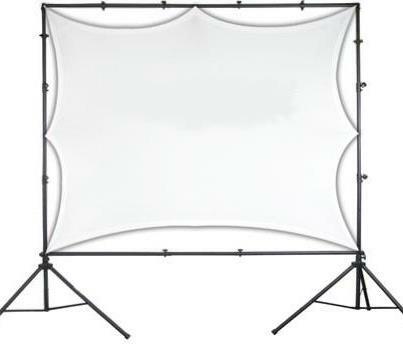 We have audio/visual projection available for your event if you would like to have a slideshow, video montage, home movies, or other visual presentation at your special event. 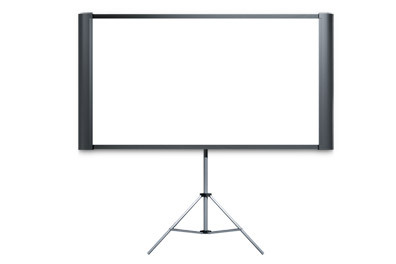 Our high-powered projector ensures that your memories can be seen in just about any lighting situation, and our screen, with an adjustable viewing area of up-to 10' x 14' ensures your presentation will be large enough for everyone to see no matter how large the area is, or where they are. You simply provide us the finished media on a standard-formatted DVD capable of playing on a PC computer or regular DVD player, and we will do the rest! We bring it, set it up, run it, and tear it down! Let us take the worry out of your audio-visual needs! Some venues rent projectors and screens, and charge hundreds more! On top of that, some don't even set it up or run it for you! Let us save you the worry and inconvenience of equipment rental, and save you money in the process!